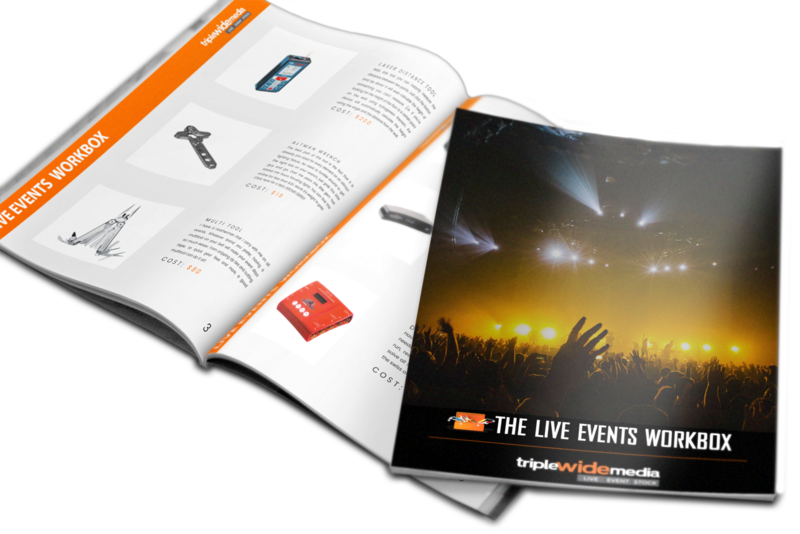 The team at TripleWide Media has over 30 years experience working in and around Live Events! That being said, we have curated a healthy list of items to keep in your work box on each and every event you are on. Whether you are running sound, lighting, or video, these tools will help you navigate any live event with ease. From physical tools and digital converters to computer adapters and measurement devices, we believe this guide will prepare you for any live event! To download this free resource, simply fill out the form to join the TripleWide Media mailing list! You’ll receive a download link immediately. If you want to share this free resource, please share this page (not the download link in your inbox) so we can continue to giveaway great resources. You might have remembered when we put together our “Live Event Toolbox” a while ago. We wanted to give it an update and have put together our Live Events Work Box to help you stock up for any live events need. Whether you’re doing a multi-city tour, a weekly church service, or one off event for audio, video, or lighting, these items will come in handy on any event. More than just a list, we have put in our years of experience to give you the inside tips and tricks of the trade. All items have links to purchase at great prices so you don’t have to go and hunt down the ones you need. This must have resource is your for free from TripleWide Media. Sign up today to download.